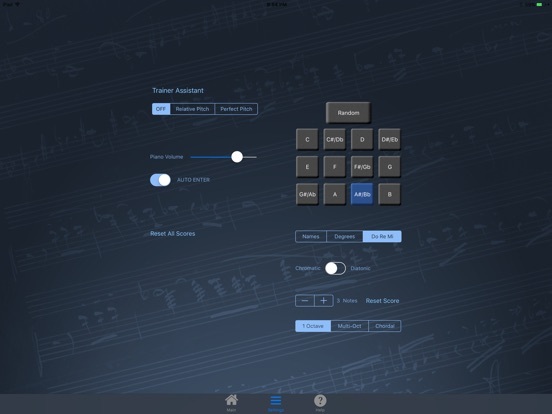 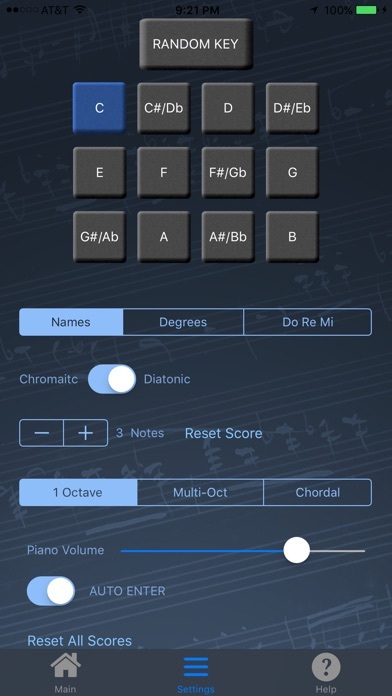 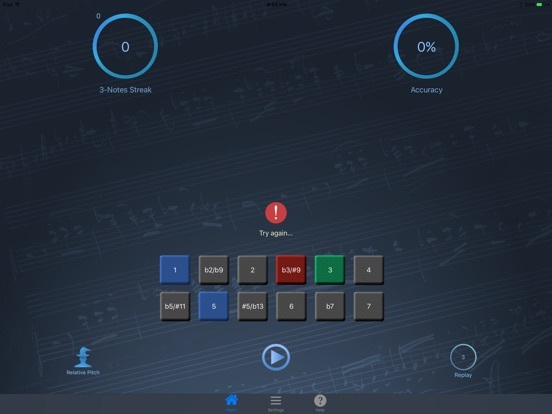 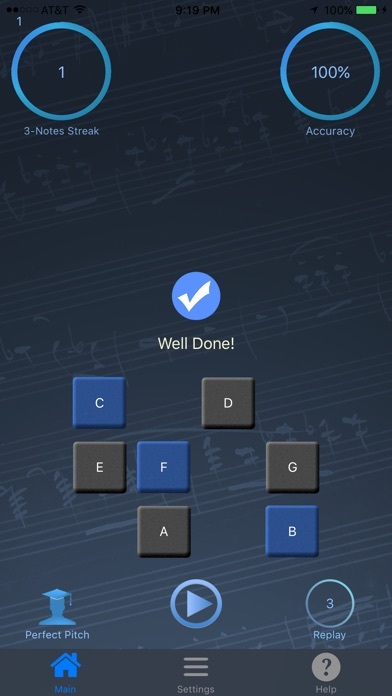 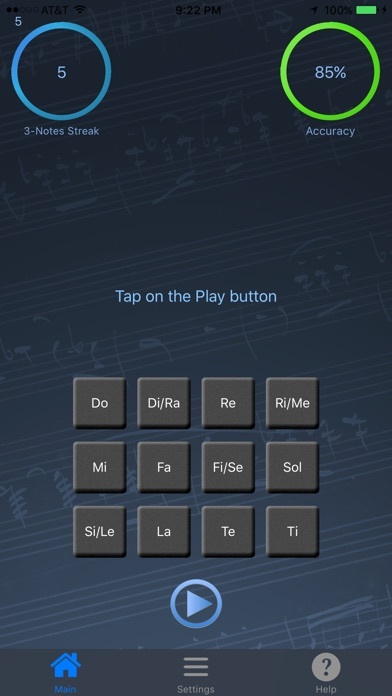 This app is designed after a very popular exercise taught by a world famous music education guru in the Boston area. 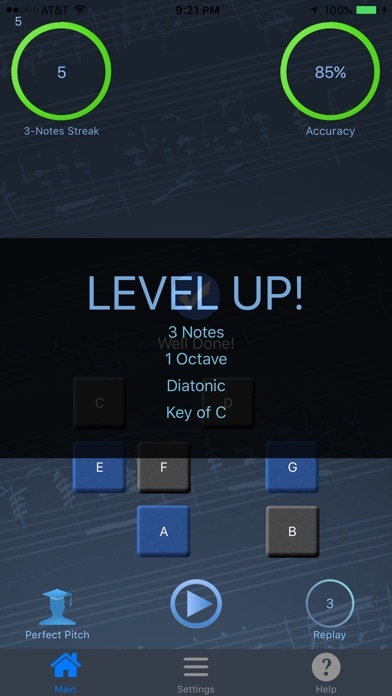 Many generations of musicians from all over the world traveled to Boston and waited in a two-year waiting list to access this information and now it is available to everyone at a low price. 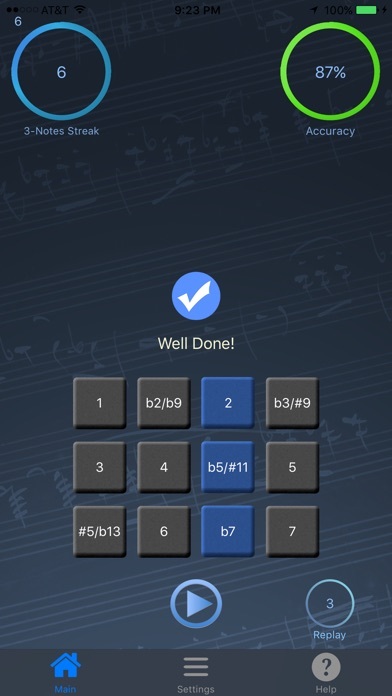 Politonus keeps track of your progress and tells you when you've reached a master level in the current settings so you can confidently move on to a more complex ear training workout (Both note streak and accuracy circles will turn green). 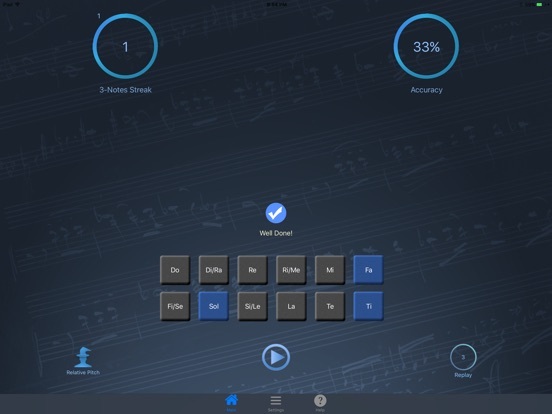 Politonus includes a coach with a powerful algorithm for relative and/or perfect pitch that acts as an ear training tutor. 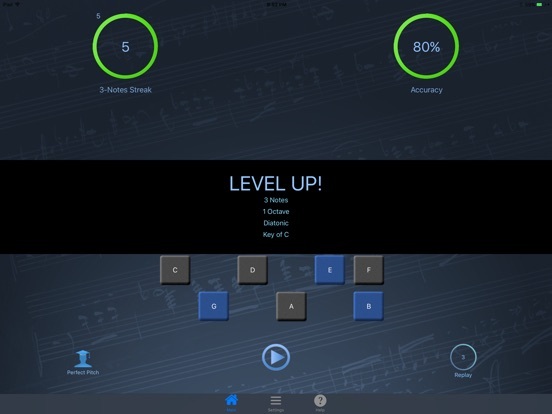 It presents progressive exercises and allows you to step up to a harder level when you are ready. 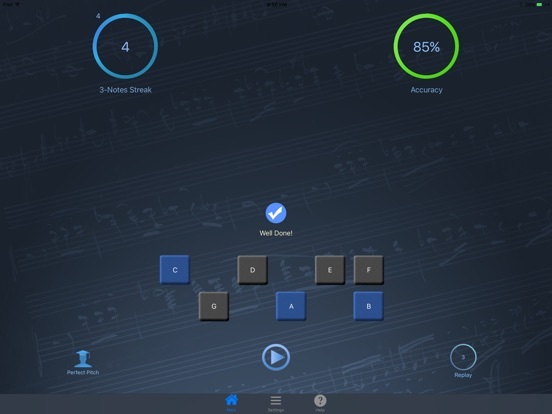 With Politonus you'll have a great ear training teacher anywhere!